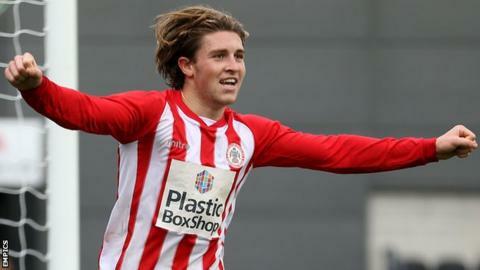 Accrington Stanley forward Josh Windass will not listen to the advice of father Dean while considering a new contract with the League Two side. Josh, 21, is Stanley's top scorer this season with nine goals in 19 games. His current deal runs until the summer of 2016 and former Hull City striker Dean has advised him to turn down Accrington's contract offer. "I think he was just a bit upset by some things that have happened," Josh told BBC Radio Lancashire. "That's the way he wants to deal with it - I didn't know he was doing it so it's up to him and that's just the way he wants to get it across. "I think he feels that I'm under pressure to sign a contract but every decision I make will be my own decision, not his decision." Windass Jr came through Huddersfield's academy but dropped into non-league with Harrogate Railway before he moved to Accrington in July 2013. Last season, manager John Coleman said Windass had the talent to be worth up to £1m. Windass added: "There has been a lot of rumours and stuff like that but there has been nothing concrete hit the club or hit me so I just keep playing for Accrington and see what happens."